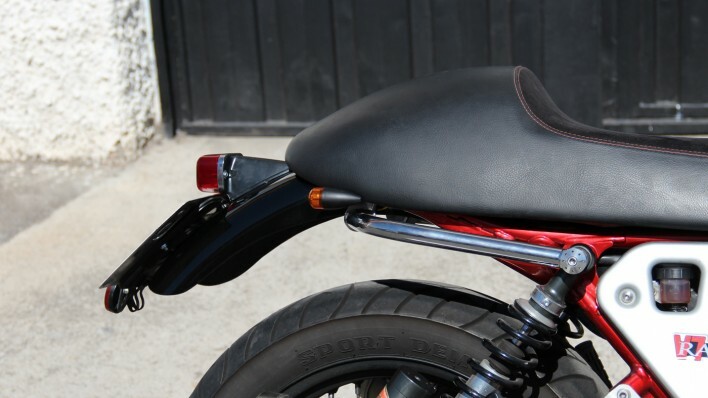 Classic Co short rear fenders designed to bolt on directly to all Moto Guzzi V7. Classic, Cafe, Stone, Racer, any year model from 2008 to 2015. The kit is comes with original paint (white or black), 70’s style rear light and 4 small black alloy indicators and brackets. For sale. 400,00€ including modified wiring loom and fitment in our workshop.